Watches are the ultimate statement piece. I am excited to announce that I have collaborated with Welly Merk. 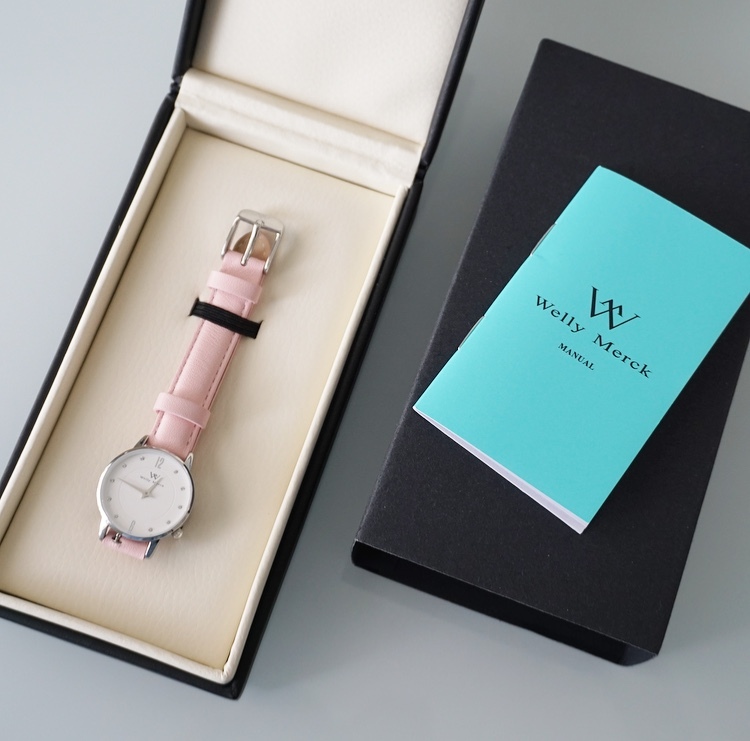 For those of you that are not familiar with Welly Merck, it is a luxury fashion watch brand from Switzerland. They sent me a watch and I did an unboxing video for my YouTube channel. I have it linked down below. Before I tell you about the watch lets talk about the packaging. When I cut open the package I encountered a black sleeve over a black box. The sleeve as well as the box had Welly Merck’s logo embossed on them. The box was rectangular where you had to open it vertically. When I opened the box, the material inside was cream colored. The top of the box had Welly Merck’s logo embossed on it yet again and a small pocket. In the pocket there was a manual and a card explaining the limited warranty. The watch itself was displayed below and it was tied in by two elastics. This was the most elaborate and lavish packaging I have ever opened when receiving a watch. I had an idea of what the watch would look like based on the photos online. However, when I open it I was really impressed by the quality. The watch that I received was the, Lisbon Fighter. The straps are made out of genuine leather. On the Lisbon Fighter the straps are pink. It’s a pastel pink that is actually perfect for spring. You can interchange the straps, Welly Merck has a variety of straps that you can choose from on their website. The size of the watch I received is 26mm, which fits comfortably around my wrist. 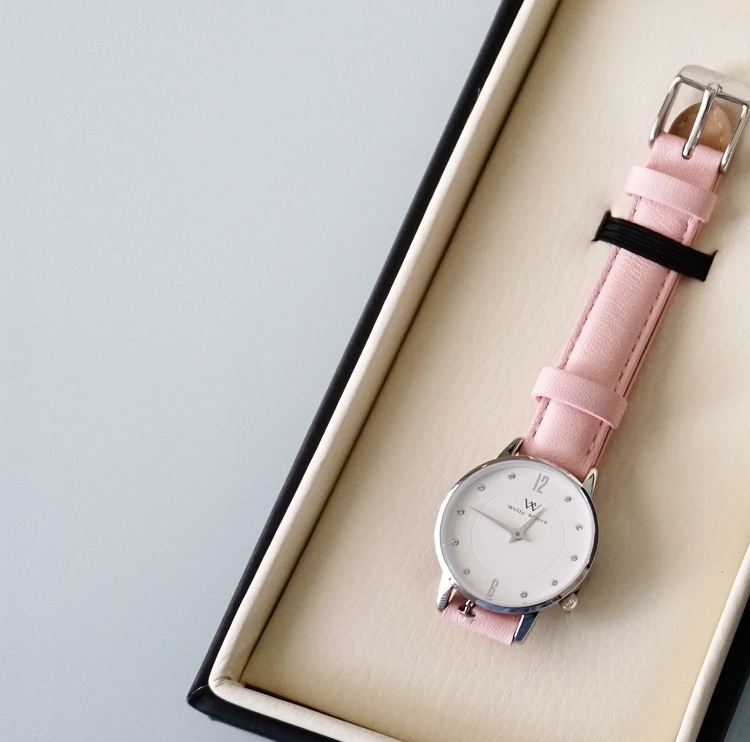 Because I have a small wrist I prefer petite watches rather than chunky ones. Another size option available for women was a 36mm. For men I believe the size options were 40mm or 42mm. The face of the watch is made of stainless steel. The glass on top of the face is made from sapphire crystals. The watch is water resistant up to 50 meters. It really is a beautiful piece, I absolutely love the watch. It’s simple yet elegant. Due to it being new I still need to break in the straps. However, I look forward to wearing it. As part of my collaboration with Welly Merck, they have given me a discount code to share with my followers. 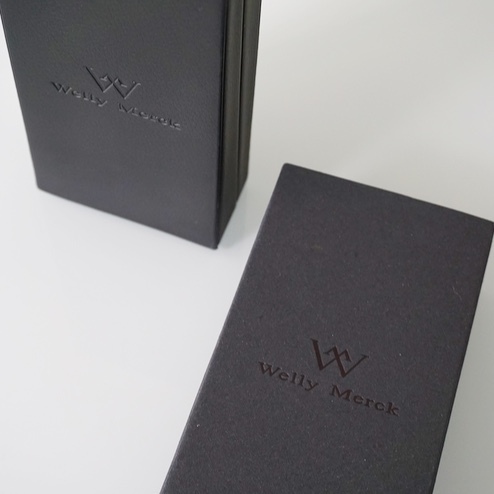 If you are interested in buying a Welly Merck watch go to www.wellymerck.com. When you go to check out use my code Nohemy15 to receive 15% off your entire order. Don’t worry about shipping. There is free worldwide shipping on all orders. Elevate your look by wearing a Welly Merck watch. Don’t forget to “Like” this video and to “Subscribe” to my YouTube channel here so you can see the next video that I will be posting. If you have any questions please comment down below. For other unboxing posts see, MacBook Air and FabFitFun.